It’s the most wonderful time of the year…for decorating the table. There are brunch gatherings and dinner parties, holiday breakfasts and maybe even a lunch get-together (especially if you’re hosting weekend visitors). 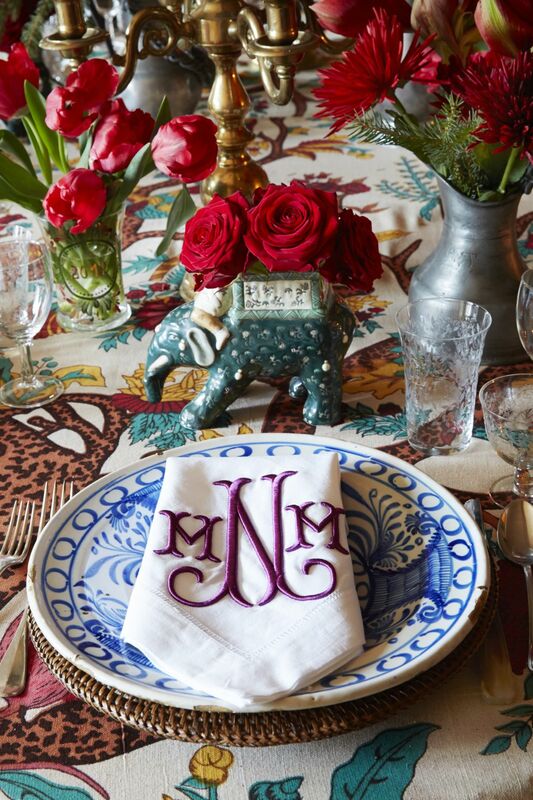 Whether your entertaining style trends towards the dramatic, like this crimson table by Carolyne Roehm, or you prefer something a little more dressed-down, we have the inspiration you need for celebrations big or small. 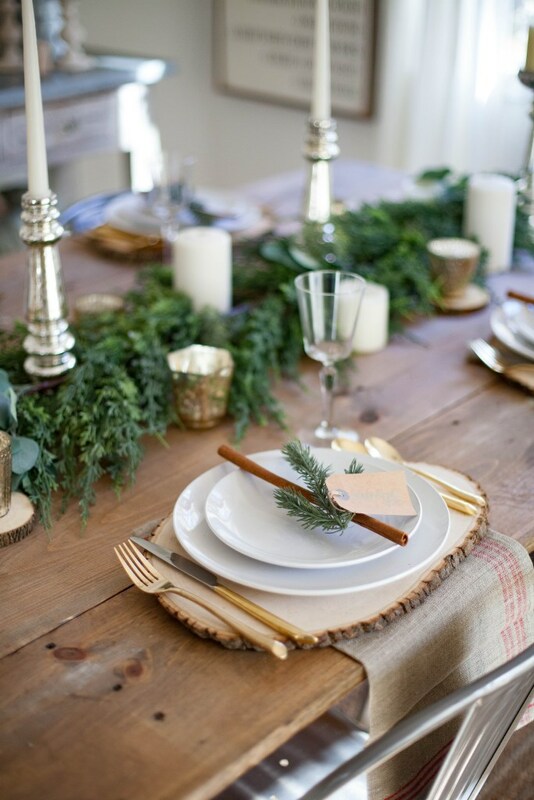 Blogger Lauren McBride let natural textures shine in her holiday place setting. Instead of a tablecloth, she added interest with a runner of fresh greenery, linen napkins at each place setting, and wood-slice chargers. At Aerin Lauder’s Christmas table, she took inspiration from the surroundings of her home in the Rocky Mountains. The palette incorporates white, brown, and touches of evergreen for a harmonious look that feels special without distracting from the stunning views. 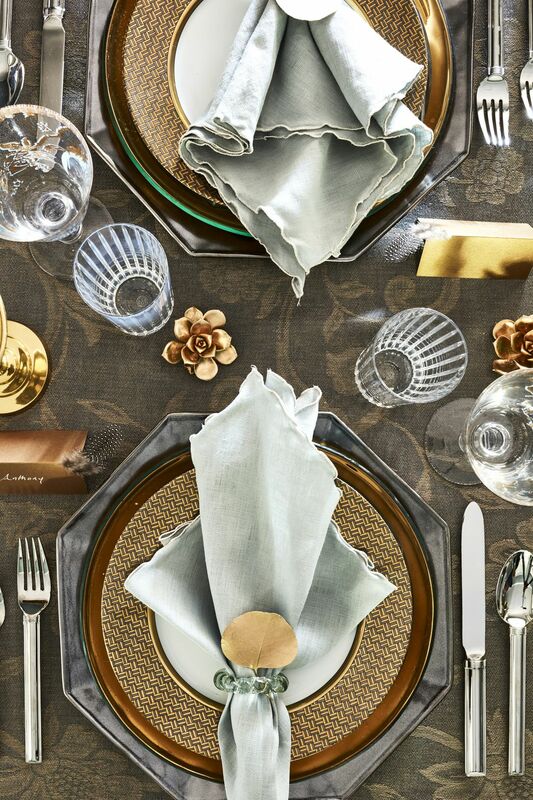 Silver and gold offer an understated (but still festive) take on the holidays. This timeless table featured in House Beautiful combines shining silver, pewter, and burnished gold for a luxurious look. 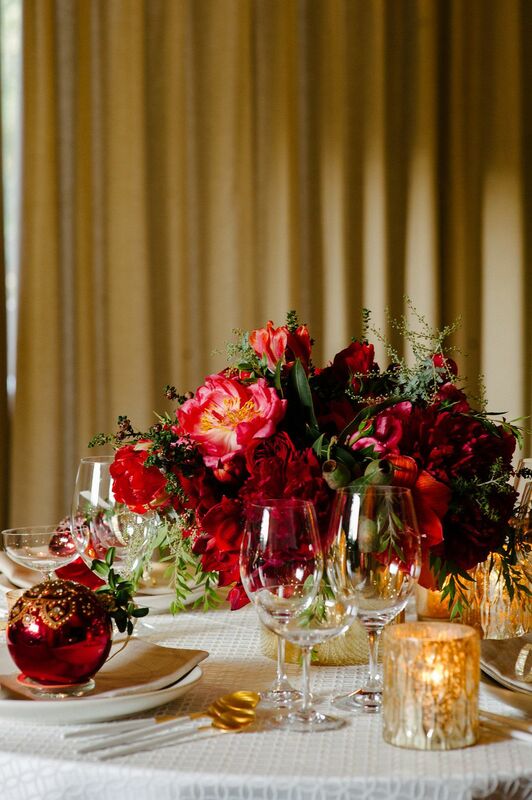 This table by Jenna Lam Events is pure drama, thanks to the pairing of deep reds and warm gold. It’s a table setting that’s also as effortless as it is elegant: Just add votives around a bouquet, then place an ornament at each place setting. An 18th-century Delft plate, brass candlesticks, pewter and figural vases, woven chargers, and a bold tablecloth bring worldly flair to the festivities at this table, featured in Veranda.